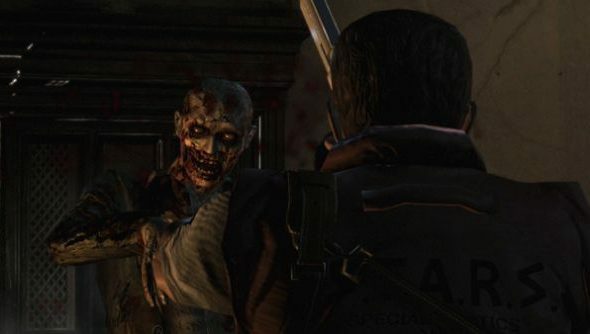 A HD remake of the original Resident Evil game has appeared on the Steam store, set to be released in early 2015. The exact differences between the PC version and that of the initial Gamecube version is still to be determined, but the store page does mention some pretty promising features. Well we can expect prettier graphics naturally. Examples include new post-processing effects like Bloom filters which were “not easy to do at the time of the original release”, making the HD textures more realistic. They’ve also gone and upped the resolution of the background environments. Widescreen will be supported too, and it will automatically scroll to see parts of the screen that will get cut off at the top and bottom due to the ratio change. If you don’t fancy it however, players will be able to switch display mode in “real time” during gameplay. Finally we can expect some tasty zombie sounds thanks to the remastered audio. The sampling rate has been improved and it now supports 5.1 surround sound. You can also pick between a new control scheme that will use the analog stick to move. Considering how much I enjoyed the Resident Evil 4 port, I’m quite excited for this. Are you?